Crews investigate a fatal crash on the Grand Parkway near Tomball, Texas, on May 10, 2018. TOMBALL, Texas - At least one person was killed Thursday when a car fell from an overpass in northwest Harris County, deputies said. 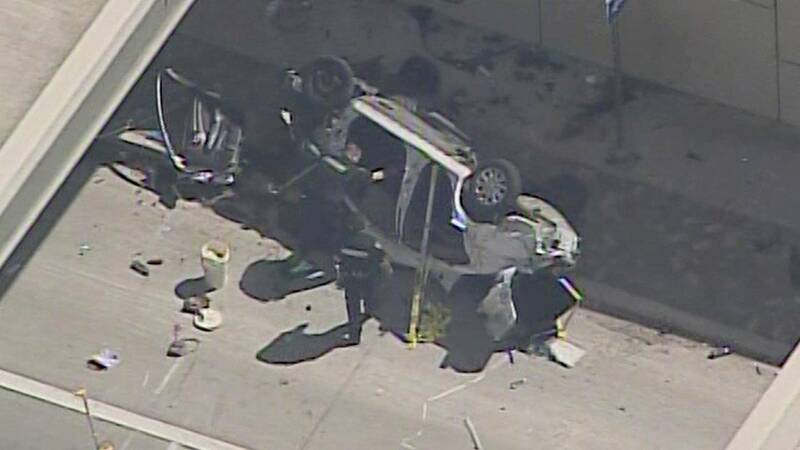 The crash was reported about 2:30 p.m. near State Highway 99 Grand Parkway and FM Road 2920. Harris County deputies said that the car ran off the overpass, but the cause of the crash is still under investigation. KPRC2's Joel Eisenbaum recently reported on a rash of fatal crashes on a different stretch of the Grand Parkway between Katy and Sugar Land.